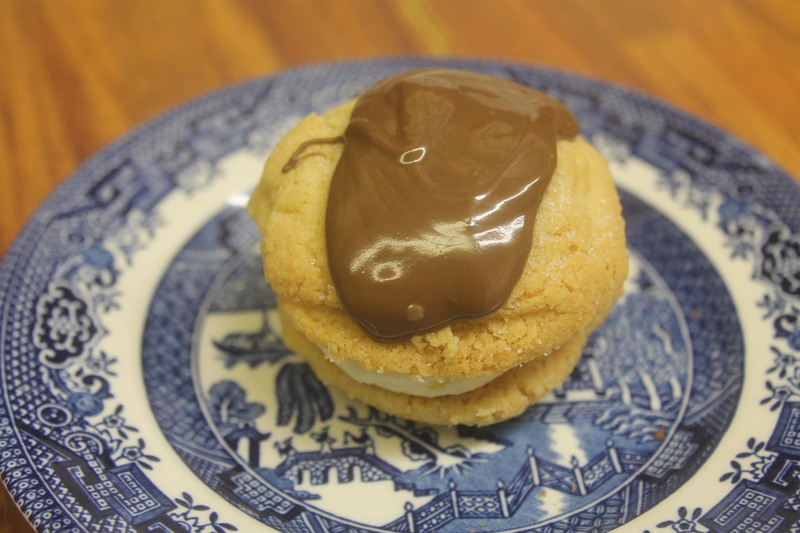 Coffee Kisses, melting moments or chocolate shortbread kisses. Whatever you you want to call them they are delicious. I have made plain ones with chocolate on top and I made them rather large so they would photograph better. 2 teaspoons of instant coffee dissolved in a tablespoon of hot water if you are making the coffee kisses. Or vanilla essence. Oven 180 C, 350 F or gas mark 4. A greased or lined baking sheet. Soften the butter and mix with the flour and sugar, stir in the beaten egg and either the coffee or vanilla essence and mix well. Divide the dough into 24 balls the size of a walnut and place on the baking sheet. Cook for about 15 minutes. When cool sandwich them together in 12 pairs with either plain or coffee flavoured butter cream. Melt some chocolate for the top if you have any!! 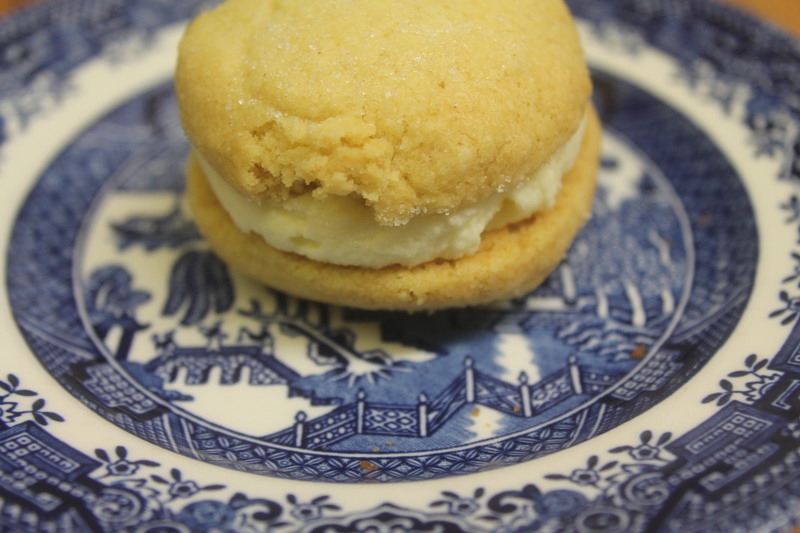 Try to sandwich them together just before serving as the butter icing tends to make the shortbread soft. Cheryl, it’s the same since self-raising/rising flour is flour with baking powder and salt in it. You can make your own at home according to Gimme Some Oven by using 1 cup of all purpose flour, 1.5 tsp baking powder, and 1/2 tsp of salt. I hope this helps! What’s the difference between British self-raising flour and American self-rising flour? And can I use the American version since I can’t find the British one?